JNTUH B.Pharmacy 1-1 Sem (R17,R16) & 1st Year (R15,R13,R09) Regular/Supply Exam Time Tables Jan 2019, jntu hyderabad b.pharmacy 1-1 sem end examination time tables 2019. 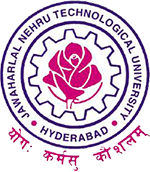 JNTU Hyderabad has announced B.Pharmacy 1-1 Semester R17, R16 Regular/Supplementary & 1st Year R15, R13, R09 Supply Examination Time Tables January 2019 at jntuh official website. When are the b-pharmacy r17 1-1 results?